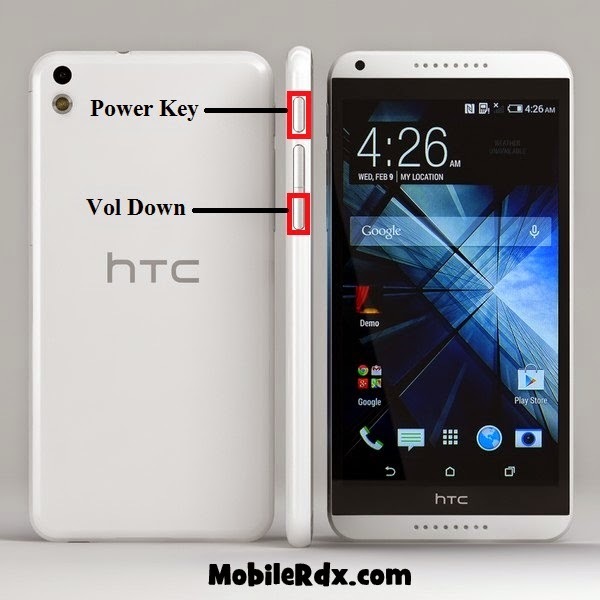 Htc Desire 816 Hard Reset and Htc Desire 816 Factory Settings Method. Do not forget about to data backup all critical files! 1.Press and hold the VOLUME DOWN button, and then press and hold the POWER button. 3.Press VOLUME DOWN to select FACTORY RESET, and then press the POWER button.